There is an old chestnut that says a Brit arriving in Spain leaves his brain at the airport. In some cases this could be true but there are also instances where it soon becomes obvious that our visitor has not even done the basic homework with regard to buying a property in this beautiful area of Spain. Sometime it would seem that all they have done is find our email address and the directions to Galera. 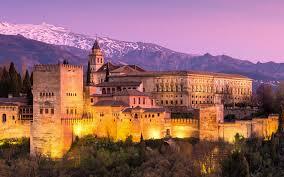 Sixty per cent of British adults would like to live abroad and 56% of those put Spain as their first choice. Of those, 95% want to live on the coast, which is fine. The important 5% (for us) want somewhere inland where you can find the "real Spain" with the benefits of considerably cheaper housing and a lower cost of living. What this means is that you are in a sellers market and buyers should beware. So before going further, I want to shatter a few illusions, not because I don't want to be involved in the sale of properties, I most definitely do, but because I do not want you to waste your time and money (and ours) by coming to the wrong place or doing the wrong thing. Illusion No 1: "We want to buy a cheap property, get rid of the mortgage and find a job!" The first two bits of this equation are quite possible but you need to think carefully about the third. 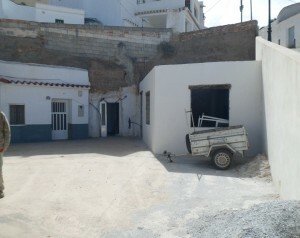 Jobs are scarce and the Spanish, who have lived here all their lives have the inside knowledge. 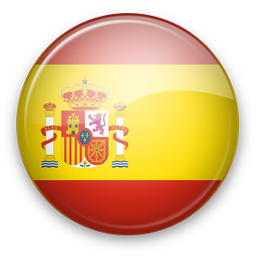 If you speak, really good Spanish and have a few months to build up your contacts then you might find a job. If you don't speak Spanish you'll probably draw a blank. Much of the work that is available is of a casual or temporary nature, paid in cash with no social security payments. So, if you need a job to provide a regular income this is not the place for you! Yet! If you have the necessary marketable skills and want to start your own business, then you could achieve your dreams. Any business related to the movement of foreign nationals into the area is likely to work well. If you have an Internet based business then you can succeed here as well as anywhere. We now have a reliable satellite broadband service, so why not run your business here, where costs are lower and the lifestyle more relaxed. Illusion No 2: "I want somewhere to live where the sun always shines and it is warm all the year!" Here on the altiplano, 850 metres above sea level we have what is known as an extreme climate, hot dry summers with cool winters. On average we get a third of the rainfall of the British Isles, mostly falling in the winter months. Even so, sometimes it rains so hard and long it feels that we are living on the west coast of Scotland! What's more the winters can be cold at night. Even on the coast there are many cold winter nights, it might not drop below freezing but it gets pretty close - lets face it Spain can be cold in the winter. Where we live, we are 850 metres above sea level, which means, on average, it is six degrees celsius lower than the coast, so if you plan to live here be prepared for cold nights so buy a cave home that maintains a nearly constant temperature summer and winter! Summers afternoons are roasting hot, with late evenings and mornings being refreshingly cool. A cave home in the summer remains beautifully cool with absolutely no need for air conditioning. In the winter you will need heating because the internal cave temperature will be 16 - 18 degrees Celsius. If you are reading a book after a while this will feel quite cool and some form of heating is required. 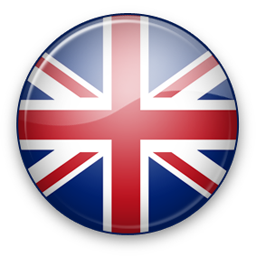 Illusion No 3: "Buying a home here is like buying a house in the UK!" It is not, it is completely different and unless you know your way around the system you will need good, honest, understandable advice. Firstly, in Spain the general belief is that all Brits are stinking rich - we know that is not true but the Spanish don't. So when the Brits come the house prices soar and you will find it unlikely but not impossible to buy a property at the old "Spanish prices". The original Spanish property owners were very quick to understand that they could up their property prices with the advent of Brits. So you must expect to pay a bit more than the Spanish but as long as you feel that you are getting value for money you are doing OK! What is worse than paying too much for a property is falling victim to an estate agent, developer or individual who is plainly dishonest and plays on the ignorance of the British buyer. I know someone who fell in love with a cave house and was determined to have it - no matter what! 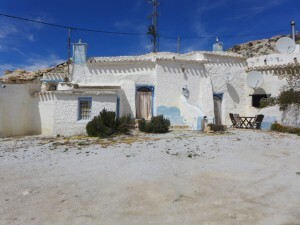 The unwary buyer paid 20% too much for cave home (you can live with that), did not sign a contract before handing all his money over and believed the story that it would be a year before he got the escritura (title deeds). Now that person lives in a pretty enough cave home but with no proper water supply or sewerage, and which leaked badly in the heavy spring rains we had this year. I feel sure that all will be well in the end but why put yourself through the worry? In Spain it is far more difficult to get compensated if you are wronged and there is no press or TV to embarrass the cowboys, so it is doubly important to get it right in the first place. Illusion No: 4 - "I can find out all I need to know by visiting for a couple of days." If you have not been here before you really need a week, minimum. At least two days to visit properties and the rest of the time to research the area. Why rush yourself, you are making life changing decisions and you need time to absorb and sleep on the vast amount of information you will take on board while you are here. I most certainly don't want to put you off coming to Spain and especially this area, I love it here and plan to stay until I drop. You too could feel the same way. Whether you are planning to live here permanently or simply buying a holiday home be sensible, do your research, spend plenty of time here before committing yourself. That way the whole process of buying and living here can be an enjoyable experience, one that leaves you with the lasting satisfaction of a job well done. 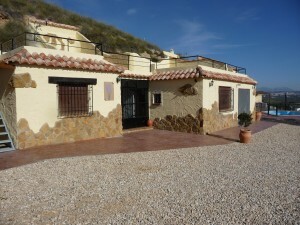 "Two completely renovated caves with luxury finishes in El Fontanar 10 km from Pozo Alcon, located in..."
"Cave in Freila ready to move into. To the right of the cave is a large kitchen and on top of it a ro..."